Finding requests and making them easily accessible is a challenge. Some tools employ tags, but with tags, you are often limited to one-word descriptions and you cannot share tags with others—not a good solution. With Pipeline, group different requests together across various teams and workflows into a Bundle that gives you one-click access to those requests. 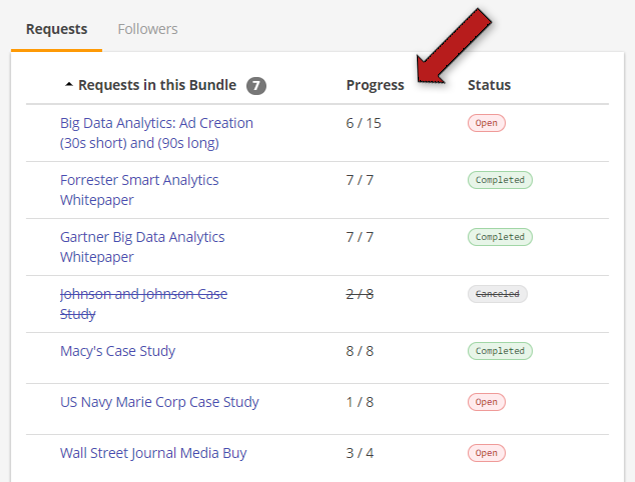 And more powerful than just a tag/label, Pipeline bundles enables you to monitor bundle progress, add descriptions, upload files/images, add links, and even share the bundle with others. Tracking progress across multiple teams—each with their own unique workflows and tools—is often tedious and time-consuming. In fact, 45% of teams resort to manually updating data across files, presentations and systems just to create a holistic picture. Reduce the manual work by grouping requests into bundles, and Pipeline will automatically track and monitor the progress of those requests. 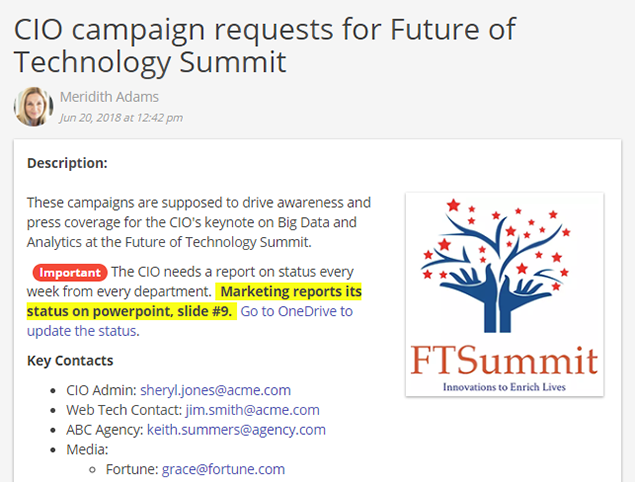 For initiatives that span multiple teams and vendors/suppliers (ex: campaigns, events, product deployments, etc. ), coordination becomes difficult because there is no central place to house information accessible to all parties. Eliminate the confusion by using Pipeline bundles to store data centrally by adding a description, uploading files/images, adding links, etc. Then, share the bundle with team members in other departments and even other companies.